"The oil palm sector is working to achieve zero-deforestation supply chains in response to consumer-driven and regulatory pressures, but they won't be successful until we find effective ways to include small-scale producers in sustainability strategies," said Elsa Ordway, lead author of a Jan. 10 Nature Communications paper that examines the role of proliferating informal oil palm mills in African deforestation. Ordway, a postdoctoral fellow at The Harvard University Center for the Environment, did the research while a graduate student in Stanford's School of Earth, Energy & Environmental Sciences (Stanford Earth). 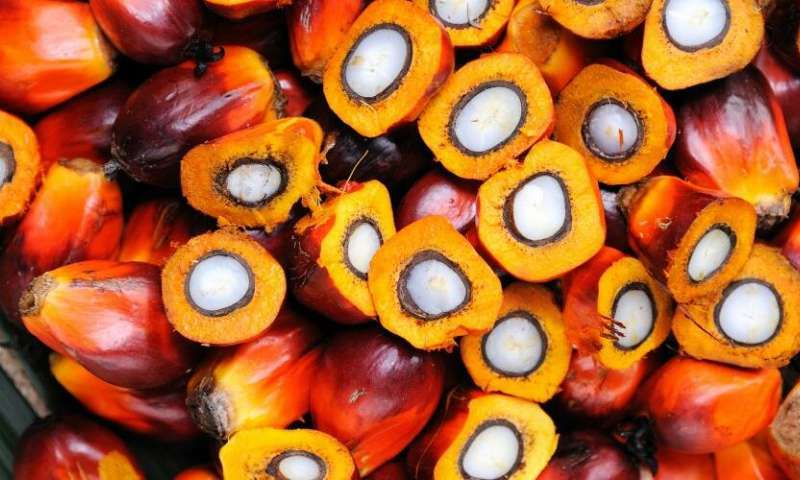 Using remote sensing tools, Ordway and her colleagues mapped deforestation due to oil palm expansion in Southwest Cameroon, a top producing region in Africa's third largest palm oil producing country. 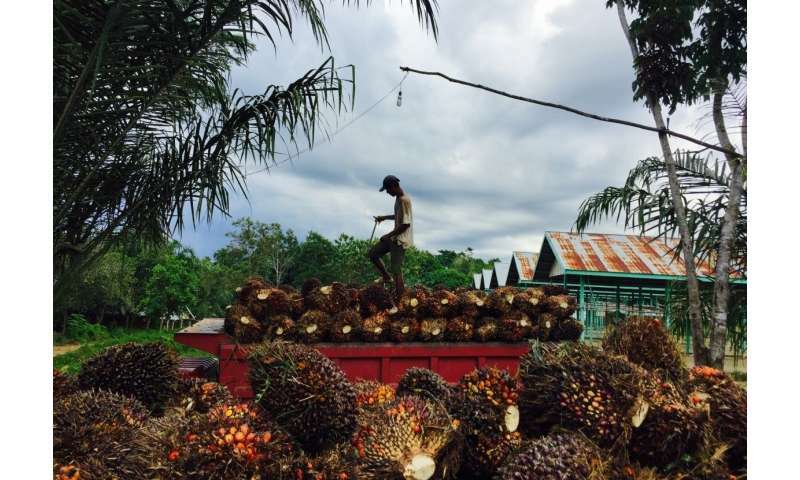 In Indonesia, where a large percentage of the world's oil palm-related forest clearing has occurred, a similar focus on independent, smallholder producers could yield major benefits for both poverty alleviation and environmental conservation, according to a Jan. 4 Ambio study led by Rosamond Naylor, the William Wrigley Professor in the School of Earth, Energy & Environmental Sciences and a senior fellow at the Stanford Woods Institute for the Environment and the Freeman Spogli Institute for International Studies (Naylor coauthored the Cameroon study led by Ordway). They found that Indonesia's shift toward decentralized governance since the end of the Suharto dictatorship in 1998 has simultaneously encouraged economic development through the expansion of smallholder oil palm producers (by far the fastest growing subsector of the industry since decentralization began), reduced rural poverty, and driven ecologically destructive practices such as oil palm encroachment into more than 80 percent of the country's Tesso Nilo National Park. Among other potential solutions, Naylor and her coauthors suggest Indonesia's Village Law of 2014, which devolves authority over economic development to the local level, be re-drafted to enforce existing environmental laws explicitly. Widespread use of external facilitators could help local leaders design sustainable development strategies and allocate village funds more efficiently, according to the research. Also, economic incentives for sustainable development, such as an India program in which residents are paid to leave forests standing, could make a significant impact. There is reason for hope in recent moves by Indonesia's government, including support for initiatives that involve large oil palm companies working with smallholders to reduce fires and increase productivity; and the mapping of a national fire prevention plan that relies on financial incentives. "In all of these efforts, smallholder producers operating within a decentralized form of governance provide both the greatest challenges and the largest opportunities for enhancing rural development while minimizing environmental degradation," the researchers write.